Liability insurance is a requirement for operating a motor vehicle in Georgia. If you are involved in an auto accident, this type of coverage is used to financially compensate the other motorist(s) who was impacted, to pay for medical costs and property damages. The majority of U.S. states require liability insurance, and also require certain minimum amounts of coverage. Georgia law requires the coverage minimums of 25/50/25. These numbers mean that $25,000 worth of bodily injury costs are available per person involved in the accident, and a total of $50,000 for all persons injured in an accident. The last 25 indicates that property damage liability is covered up to $25,000. It is important to note that liability insurance is only for compensating the medical and property costs of the other(s) vehicles that were impacted. Collision and comprehensive insurance are the optional types of coverage that pays for your damages. 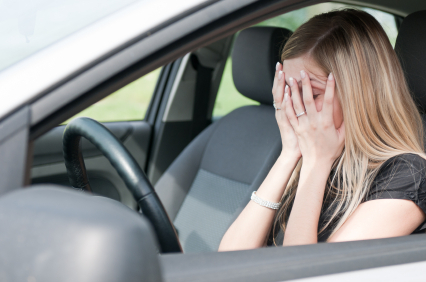 What If the At-Fault Motorist Doesn’t Have Liability Coverage? Although Georgia law requires motorists to maintain liability insurance, many drivers choose to drive (illegally) without it. In the event that an uninsured driver was to cause an accident, uninsured motorist coverage would pay for the harm and damage, thus it is highly recommended. Typically, your insurance provider will have various levels (amounts) of coverage for you to choose from that are priced accordingly. Auto insurance premiums by several providers in Georgia have noticeably risen recently; therefore, uninsured motorist protection is increasingly encouraged to account for motorists who choose to drive uninsured. In efforts to enforce liability coverage for all drivers, all auto insurance providers now have an electronic means of notifying the state in the event of insurance policy terminations, additions, and deletions of vehicles from existing policies. If the state does not receive notice from a different insurer indicating coverage has been switched to their company, an alert is generated. After a 30-day period allowed, a “notice of suspension” is mailed to the vehicle owner advising him that his registration will be suspended. If the vehicle is found to be operating without liability insurance coverage, or with a suspended registration, the owner is subject to misdemeanor charges, vehicle impoundment, fees, and fines. If the offender repeats this violation within five years of the initial violation, his vehicle’s registration will be suspended for a period of 90 days. If the offender repeats the violation for a third time within five years, the suspended vehicle registration is increased to a six-month period. The Grant Law Office has been aggressively representing victims of injury in the greater Atlanta area for over 30 years now. You deserve the best legal team on your side to obtain the maximum compensation in an insurance claim. If another motorist’s mistakes or negligence have resulted in problems for you such as injuries, pain, medical bills, or the inability to work—then pick up the phone and call us at (866) 249-5513. Insurance companies are going to act to protect their own interests. We will consult with you on the situation and begin the road to recovery for you.